Click here to donate to the MARKIE RHOADS SCHOLARSHIP FUND. From 1995 to 1997, Markie served as the Founding President of the Arizona Chapter of NEWH, the Industry Network. She received the Joyce L. Johnson Award of Excellence, and NEWH and has been an integral part of her organization presence from its inception. She truly inspires each and everyone around her, and any one you ask will say it is a privilege just to be in her presence. She is not only a wonderful and creative teacher, but an inspiring woman who we’re honored to have a scholarship of in her name and in her honor. 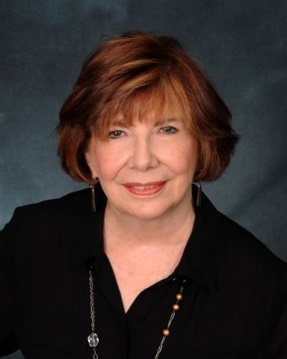 Ms. Rhoads has over 40 years experience in Interior Design, specializing in the hospitality industry. Her project list includes more than 250 hotels and restaurants throughout the United States, Mexico, and Canada. She began her career with David Stevens and Associates, an internationally renowned Restaurant and Hospitality Design Firm. In 1987, Ms. Rhoads joined the Best Western International Design Team as Senior Hospitality Project Designer. Later promoted to Design Manager she was responsible for reviewing and monitoring renovation and new construction projects throughout North America. In 2000, Ms. Rhoads accepted the position of Director of Hospitality Design at Leo A Daly Architectural firm in Phoenix, where she served as Interiors Team Leader for several projects including the Casino of the Sun in Tucson, AZ, and the Doubletree Inn in Phoenix. Markie opened her own business in late 2002. Her project list includes renovations and new construction projects for mid-market, upper mid-market, and resort properties. She is currently launching a new Design and FF&E division at A-1 Hospitality Products. Throughout her career, Markie enjoyed mentoring young designers and hospitality management students. She acted as keynote speaker and guest lecturer for NEOCON, 1995, Hospitality Design Expo, 1995 and 1998, Arizona State University School of Architecture, and Scottsdale Community College/NAU School of Interior Design, 2006, and NAU School of Hotel & Restaurant Management, 2014. She has also proudly served on the Valley Hotel and Resort Association Member of Community Relations Committee. Donations can be made to the MARKIE RHOADS SCHOLARSHIP FUND by clicking here or calling the NEWH, Inc. Office.